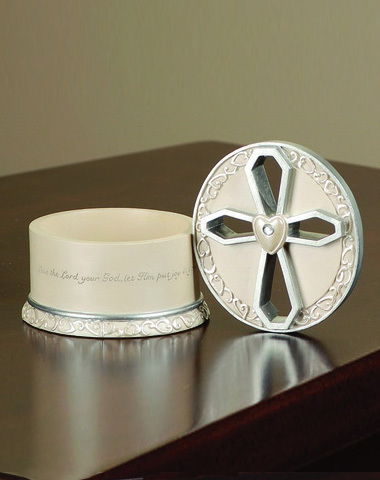 This classic keepsake box is a precious gift that is also functional. You can store a piece of jewelry, a rosary or something special inside. The lid has a die-cut open cross with a crystal in the center. The verse "Love the Lord your God, let Him put joy in you heart." repeats around the lower part of the box.